Here's the 2nd Time brochure. 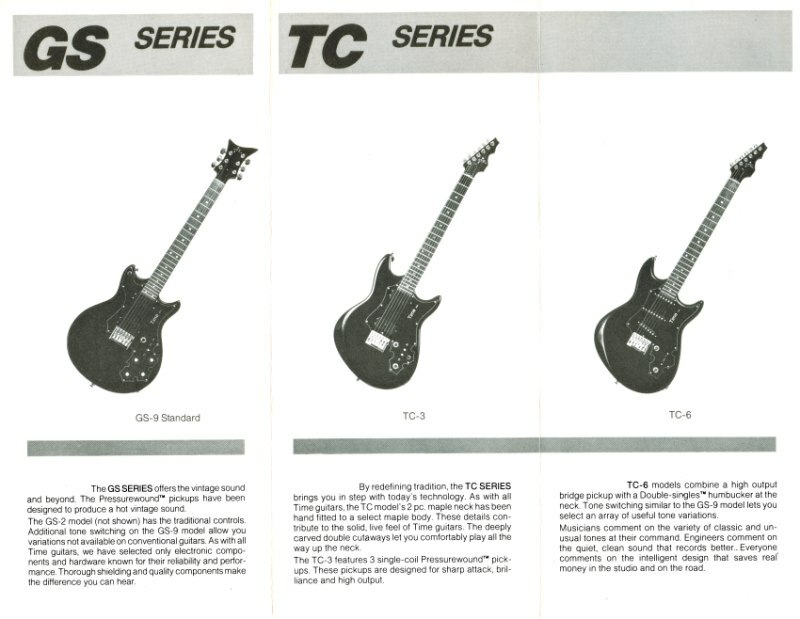 This lists only 3 guitar models. The GS, TC and Prime Time. 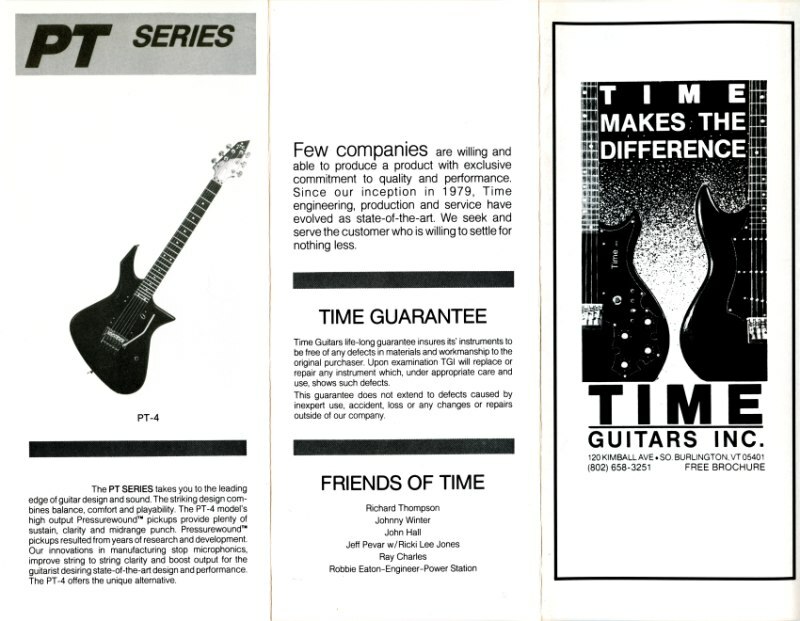 This coincided with the first Guitar Player magazine ads that started running in February 1985. This was out after the portfolio pages from 1984.